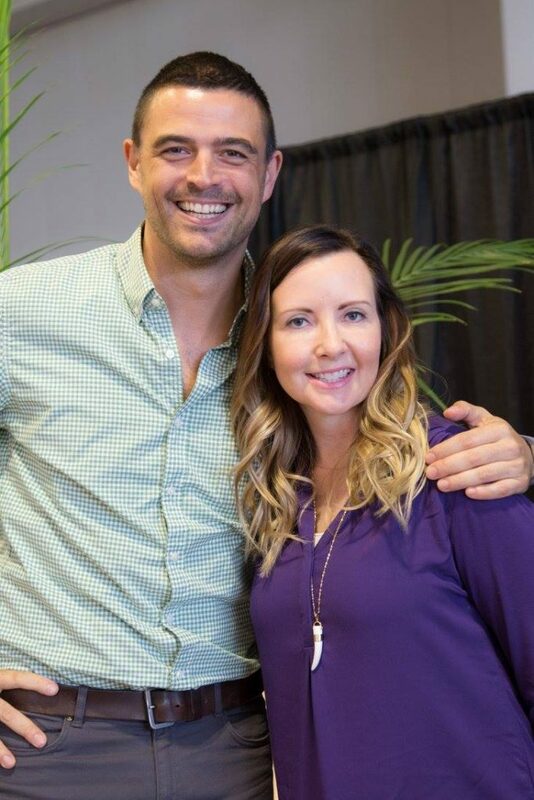 Earlier this month I had the pleasure of meeting with HGTV Curb Appeal & Outdoor Living Expert John Gidding. As part of the Nashville Home and Garden Show, he was busy entertaining and enlightening us on all things curb related. It was a great day learning easy ways to improve the curb appeal of your home. I want to share my main take aways from our visit. Make sure nothing is missing or broken on the outside of your home. Broken on the outside sends the message of things broken on the inside. You have just moments to make a good first impression. You can add a fresh lick of paint to the outside if it’s needed or get someone like Spark Garage Doors – Denver CO to update your garage doors if yours are looking a bit tired. Paying attention to these little details will help create a strong first impression while creating a sense of value. Use color to draw the eye in. 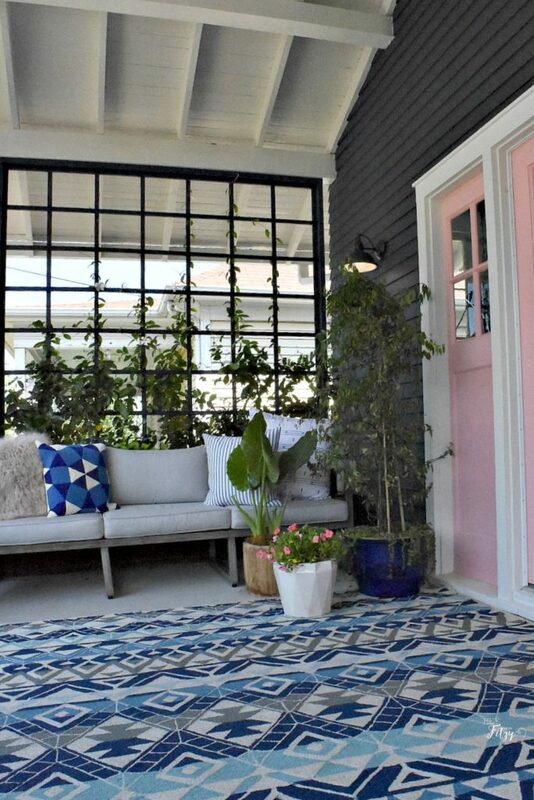 The front door is an easy place to have a little fun with color. John loves jewel tones so imagine rubies or emeralds. Use muted colors on the garage and/or trim. Avoid using more than three colors on the outside of your home. Create seating area outside to imply you spend time in the front yard. This will send the message that you live in a lovely neighborhood and spend time talking with neighbors, enjoying a cup of coffee in the morning, or simply being outside. Draw inspiration from similar architecture style. Don’t think what works for one style will work for you. Trust the experts and stay true to your architectural style. Pay special attention to your house numbers. They are truly the first thing someone sees when looking for your home. Avoid cheap little stickers for your numbers. Create something of visual interest for a little wow factor. Your mail box is a great place to enhance the appeal of your home. Make sure it is clean and in good working order. Consider adding flowers near the base. Make sure it’s clean! So many people put in lots of effort trying to improve their curb appeal but it’s all worth nothing if your house’s exterior is dirty. If you realize that your yard is spotted with stains or your roof is gross then get someone like the Figure Eight Island Exterior House Cleaning crew in to help you out. Always take your own measurements. This will prevent error and save you money in the long run. $1 for $1 return on curb appeal projects and often more. Starting with a simple budget can really up the wow factor of your home. However certain services like having termite control los angeles are a necessity, no matter the cost! Here is a perfect example from my recent visit to the HGTV Urban Oasis in Knoxville, Tennessee. I loved all these simple tips. 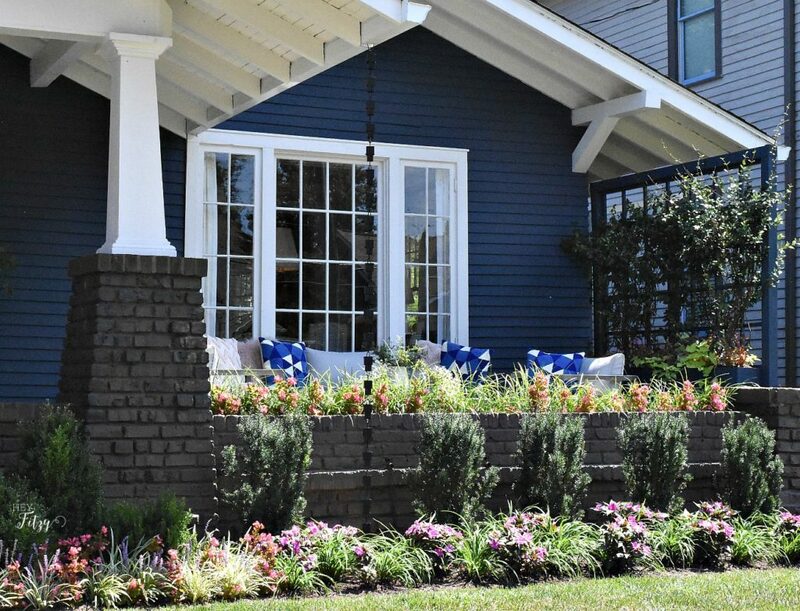 With just a few easy improvement you can truly up the wow factor of your curb appeal. These are really good practical tips. The one about fixing things that are broken really jumped at me because we NEED the front lights on our home fixed and it makes our house look shabby. Thanks for the information. Hi Leanna, Thank you for stopping by. I am glad the tips were helpful for you. Sometimes they are so practical that I think we tend to overlook them. I loved the house number tip because I didn't really think about that being the first thing someone sees when trying to find your home.